In New York, when you have been injured on the job, you have a right to seek benefits under the state’s workers’ compensation system. 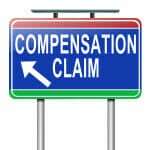 In fact, the workers’ compensation system is generally your sole remedy or means of recovering compensation for injuries caused by the carelessness or negligence of your employer or a co-employee. But what if you had a prior injury—work-related or not—to the same part of your body? What if you hurt your knee on the job six months or two years ago? Will you be eligible to obtain workers’ compensation benefits for the same or a similar injury? The answer, as in most cases, is “it depends.” As a general rule, there is nothing that prohibits you from filing a workers’ compensation claim for the exact same injury you may have sustained in the past. Depending on the circumstances, your prior injury may have no impact whatsoever on your current claim. For example, suppose that you hurt your knee a year ago, went through (and completed) medical treatment and physical therapy, returned to work and performed your job without any limitations or difficulties, the mere fact that you had a similar prior injury isn’t relevant to your current claim, and shouldn’t affect it in any way. On the other hand, though, if you were still undergoing treatment or therapy for a prior injury when you suffer a new and similar injury, part of any workers’ compensation claim may be “apportioned” to the prior injury. In essence, this means that the workers’ compensation insurance provider may conclude that some portion of your current injury was already paid for in your prior claim, and may assert that you have already been paid in part for your current injury. The bottom line—every case is different. 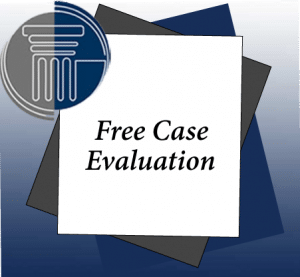 The final determination will ultimately be made based on the unique circumstances of your case—prior medical records, any new medical records, as well as history of treatment all affect the outcome. Accordingly, it’s critical that you retain an experienced workers’ compensation lawyer to guide you through the process. How Does a Prior Injury Affect a Current Workers’ Compensation Claim?